Letcher Bros. Auto Repair - Reliable Service on Your Foreign or Domestic Vehicle! Reliable Service on Your Foreign or Domestic Vehicle! Letcher Brothers Auto Repair is a full-service, Diamond Certified repair facility. We perform repairs on European, Japanese and domestic vehicles. Our team offers everything from a simple oil service to major engine and transmission repairs. Our computer diagnostics are performed by our highly trained technicians using factory equipment. We like to provide every customer with personal attention to his or her auto needs. We are dedicated to providing quality repairs and unmatched customer service. At Letcher Brothers Auto Repair, we take the hard-to-solve repairs as a personal challenge. At times, we may be the second or third repair facility a customer has been to, so we take pride in solving the tough repairs and earning your trust. Letcher Brothers Auto Repair has served the Bay Area since 1990, and has recently expanded to a larger facility in Pinole, California. We have been able to increase our staff, and thus give customers an even higher level of customer service along with our quality auto repairs. Our ASE Certified technicians strive to give customers options for repairs that fit their budget and get them back in their vehicle as soon as possible. 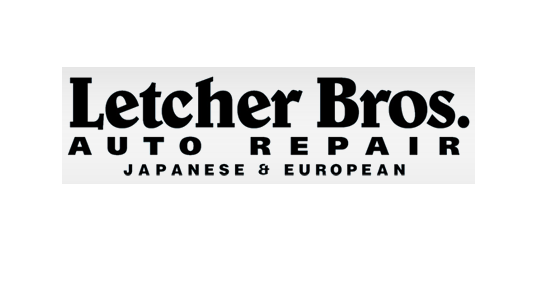 We invite you to visit Letcher Brothers Auto Repair to experience premier customer service and quality auto repairs in the Bay Area. Our state-of-the-art auto repair shop is conveniently located in Pinole, California. Contact us today to request a free estimate on your foreign or domestic auto repairs.